We do sell the products but please understand as it is never easy to do the treatment by yourself without any training and skill. We are highly skilled and trained technicians (groomers) who can provide paint work restoration and treatment of the ToughGuard Paint Protection System Coating and other services related to the comestic look of your vehicle. Our Full treatment and Detailing price is even cheaper than the product that you buy and do DIY since we are trained authorized sole agent and bulk buyer. If you prefer to buy, you may contact us for detail on immediate delivery. We had just got delivery and unloaded our ToughGuard new packaging stocks from USA. Selling on the Singapore market for those who wanted to do DIY Paint Protection Coating for their vehicle's. The Polarizing Wash Preparation microscopically cleans the pores of the surface while setting a positive (Cationic) charge. This product also removes any existing waxes or sealants that may be present on the paint surfaces. The ToughGuard Nano-Polymer has demostrated a far superior performance and durability unlike any other products available on the market. 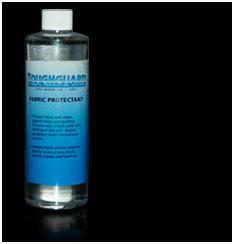 For your car paintwork shine and protection and Hydrophobic Windscreen visual safety. ToughGuard Nano Surface Diamond Glass Coating is as strong and tougher as 9H thickness. The USA products technology are being used and certified by Aviation, Marine and Military and tested under the World most stringent test reports by ASTM military specification. Click http://www.sgcarmart.com/directory/merchant.php?MID=15093 for more detail on our different packages and check on "Product/Services. PM us at our Thread at Sgcarmart for products purchase and application guideline on DIY. A single set can last a lifetime Shine for a Saloon car. Also check great detail information and pictures at our Facebook update by keyword "QMI ToughGuard Car Grooming Centre"
Contact us @ 9479 0355 to purchase products. TOUGHGUARD®'s formula protects your paint far longer than any other wax or polish on the market! TOUGHGUARD® protects your paint 20x-50x longer than the competitors. Toughguard has developed a paint protectant that uses high quality, durable acrylic elements; it is a high quality product engineered to exacting standards. TOUGHGUARD fills the natural pores in your paint finish with a unique resin. This forms a barrier that prevents penetration of any other elements. TOUGHGUARD® also contains an acrylic that is a hard durable, anti-static, transparent, protective layer and gloss enhancer. This gives the product depth of shine, durability, corrosion protection, spot resistance and excellent detergent resistance. 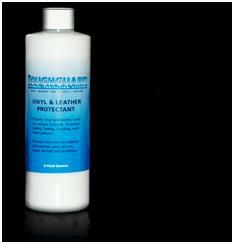 TOUGHGUARD® Vinyl and Leather Protectant provides a protective barrier against the elements. It helps maintain the appearance of your dashboard and seating surfaces and makes clean-up easier, as well. Your car's interior is subjected to ultraviolet rays from the sun, low humidity, and temperature extremes that can cause leather and vinyl surfaces to dry, crack, fade, and discolor. This diminishes the appearance and value of your investment. ToughGuard® Vinyl and Leather Protectant bonds with your car's interior surfaces to help protect them, keeping the clean and supple. makes cleaning up much easier. the surface while still allowing the surface to breathe. This prevents dirt and other potential stains from penetrating the fabric, allowing for removal before the stain becomes permanent. With proper cleaning and vacuuming, the fabric and carpet surfaces in your vehicle will resist messes, so they become memories and not permanent reminders. We have the new engineered QMI ToughGuard Nano Ceramic 9H pencil hardness coating for your car paint and glass. This is a Titanium Grade Nano Ceramic 9H Permanent Coating. This Nano technology is an advance Liquid Crystal Diamond Glass 9H Ceramic Coating that is 100% pure in its Ceramic hardness. It has a 9H pencil hardness crystal shine film coating after application done and dried. The benefits that you can experience for your car are super hydrophobic dirts and water repellent, self cleaning, unique scratch resistance, anti-graffiti, anti-corrosion, prevent against paint oxidation and fading, prevent against water marks and bird droppings (car owner worst nightmare), prevent againts UV ray attacks and high temperature resistance, enhancing super crystal diamond shine gloss on your new or old car. Back by 3 years warranty shine package or upgrade to a Life Time warranty package. Which ever the products technologies you choose above, it will surely gives you the ultimate benefits that top range Paint Protection System PPS (which we have) can provide to suit your budget and expectation. 1) How is TOUGHGUARD® different from the other special paint protectants the dealers sell on new cars? 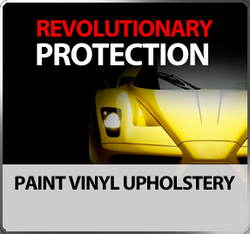 We absolutely guarantee 5 years of paint protection on a new car with no further application required. Car dealers prepare every car to make them look their absolute best in the showroom. To do this they will use either standard waxes or various types of paint sealants to give the car a high gloss shine. Dealers also sell a "premium" paint sealant and ceramic glass coating at the time of closing at anywhere from $500 to $1,500. Even with these other "premium" paint protectants, the car only looks great for about a month and then the waxes and sealants wear off. The fine print in most paint protectant warranties require maintenace or encourage the use of products designed to "rejuvenate" finish that has lost its luster since the original application. The Toughguard warranty expressly states not to do anything other than wash your car; waxes and polishes should not and need not be used after the initial application of Toughguard. 2) Will TOUGHGUARD® remove pre-existing oxidation or paint defects or should these be removed prior to the application of TOUGHGUARD®? TOUGHGUARD® will remove minor surface scratches and swirls but does not remove oxidation. The paint should be clean and any oxidation should be removed prior to using TOUGHGUARD®. 3) Can I use TOUGHGUARD® on my plastic, chrome, and glass surfaces of my vehicle? TOUGHGUARD® is safe to use on most painted plastic parts. However, we don't recommend you use it on any black plastic, open cell matte finished plastic, or trim work. TOUGHGUARD® does work very well on chrome surfaces, making brake dust removal on wheels easier than on untreated surfaces. TOUGHGUARD® can be used on glass surfaces that on which windshield wipers are not used. 4) How long will TOUGHGUARD® protect my used car? There's not a definitive answer for this question. The variables are too great (new paint vs. old paint, environmental factors, oxidation level etc.). TOUGHGUARD® can last a very long time on a used car when the paint is in good condition, any oxidation is first removed and the vehicle is washed on a regular basis. Once the TOUGHGUARD® is applied, further damage by UV rays and other factors will be dramatically reduced and the car will be preserved in it's current state much longer than with any other product available. 5) How long will TOUGHGUARD® protect my new car? TOUGHGUARD® is guaranteed to last at least 5 years on new cars. TOUGHGUARD® will keep the UV rays and other environmental factors from destroying your paint. You need to just wash your car on a regular basis to remove any dirt and pollution from the surface. 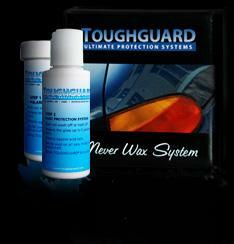 6) Why don’t waxes and polishes work as well as TOUGHGUARD®? The heat from the sun (solar convection) melts the wax that lays on painted surfaces. Because waxes are hard and viscous, they plate over the surface and do not penetrate into the pores. Waxes have very little resistance to detergents and are easily washed off with each wash. When left out in the sun, the exposed surfaces quickly heat up. The wax melts and, while in a molten state, dust, industrial fallout, exhaust fumes and any other pollutants floating in the air and water are absorbed into the molten wax. Consequently the surface looks dirtier, is washed more frequently, and as a result of the deteriation of the wax, the surface is exposed to the destructive elements that degrade the appearance of the finish. The best known waxes (carnuba) widely used over beeswax are no match for the degradation of the natural elements and man-made pollutants. Waxes must be constantly applied to maintain a good protection. 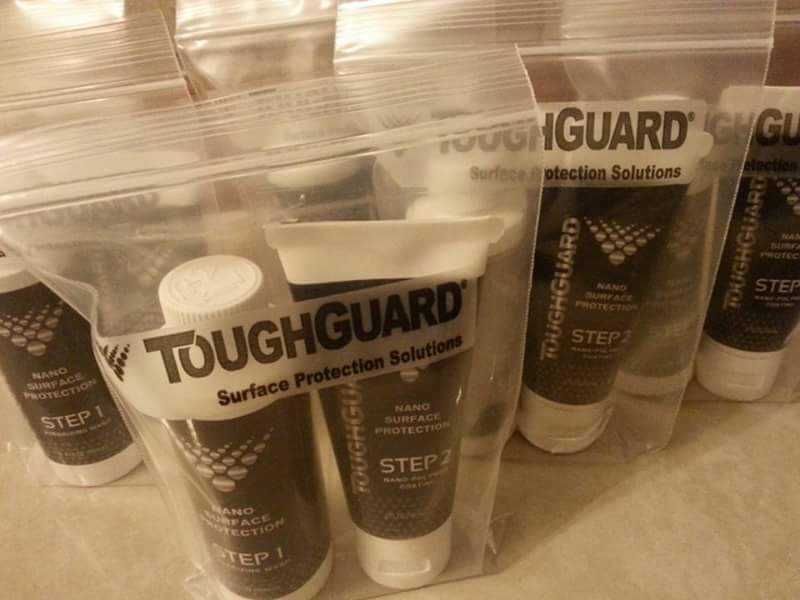 7) Why don’t silicone based products work as well as TOUGHGUARD®? Silicones were first introduced in a liquid polish for autos, planes and boats in the mid-1950's. They were easy to apply, had a greater depth of shine and endured many times longer than waxes. However, silicone based products have significant drawbacks as well. Silicones penetrate into the pores of paint and eventually into the metal of the vehicle’s body. As the silicones penetrate or drift further into the painted surfaces, they leave the surface exposed to elements just as waxes do when they melt or are washed off with a detergent. Depending upon the season, waxes will endure in the summer months for about 5 to 8 weeks whereas silicone will hold the protection for approximately 6 to 12 months, depending upon the quality of the silicone based product. 8) DIY or Professional Application? Should I apply the paint protection myself or have it professionally done? This question is asked often. Applying it yourself ToughGuard Paint Protection is easy enough to apply yourself if your car's paint is in good condition. If you have taken delivery recently and have no acid marks (from bird droppings for example) or fine scratches, then you can easily do it yourself. Set aside a morning or an afternoon to get the job done. It takes a bit of time to do, but it does not require a high level of skill when the paintwork is good. You should consider having paint protection professionally applied if your car's paint is not 100% OK. A professional has tools such as clay and buffing compounds that are uneconomical for you to buy (as your car is likely to need very little of it). A professional is also able to determine which scratches can be buffed out and which cannot, and which tools to use to achieve the best results. He will speak to you, explain and recommend appropriate action. It is not uncommon for a professional paint protection applicator to spend a whole day on a vehicle. 10) Is Ceramic or Glass coating the same as ToughGuard? If you had read our information above and the main page, you will find that ToughGuard has everything on the table offered. The ToughGuard substrates (Acrylic substrates similar as ceramic glass) act as a suspending agent for other unique nano polymers coating formulas that was improved and formulated by ToughGuard to enhanced the durability and gloss compare to acrylic ceramic glass coating alone. The trend and popular belief about Ceramic and Glass coating are break-through new formula has been preaching since 6 years ago, but the chemistry technology are not. These technology already existed more than 30 years ago from Industrial coating and ToughGuard with this unique properties has these inorganic substrate in its place since the beginning of its inception. You will never find any type of waxes, sealant, ceramic, glass or another forms of coating in the world market that was being proven and used by US Navy Ship assets, Planes and large number of Yachts for a particular product to protect the investment of such machines or equiptment against oxidation and environment attacks. Only ToughGuard had make it. Those other products reports available on the market are just third party or independent Laboratory that Manufacturers or OEM companies paid to in order to get the products analysed to obtain the report and claimed as Certification Award or Proven Test Report on the basis of business positioning unknown to layman consumers. ToughGuard is different because, beside Independent Lab analysis reports, the Aviation and Navy itself, did their own In-House test and found that ToughGuard do indeed conform to its product durability and products chemistry bio-degradable etc., thus, providing ToughGuard the Test Report from their respective research and providing ToughGuard the Test Reports copies as proof of documentation before purchasing and using the products technology. Big industry will always practice to do their own testing before justifying to the Head of Department to purchase. On the other hand, you can buy any online Glass Coating and send it to SGS or TUV for the test by paying them and will be surprise that Glass Coating can even acheived more than 30H hardness in the Mole Scale Test. But who will do that for just a car? Unless as a Business companies doing OEM. But that does not mean anything in Nanotechnology. Think of Super Glue that when it harden and crystallized, it forms a transparent film of super thickness but it is not nano technology. What about using a nano technology liquid and spray it on a piece of soft cotton or tissue paper? Wait for it to dry, cured and crystallized and it will still remain soft. Pour water onto it, the water will repel in a super hydrophobic manner. Well, that is what we call nano coating technology. Than what is Nano Technology? I am sure you already got bored reading so much. We suggest you Google on that as those technologies are too complicated to sit in here, since we are not chemical company. 11) What about Scratch Resistant? This is the most concern of all to consumer and car owners. Yes, all ceramic, glass and many coating on the market do resist scratch, but on different level of impact and compassion. No coating in the world can resist against stone chips flying and shooting like a bullet. No coating will make your car an armour car to resist accident dent, hard door knock dent. These coating layer or layers act as a sacrificial barriers of protection for your paint clearcote and will gradually deplete although it may be called permanent bond. Unless you park your car in your in- house garage cover up and never drive it. Therefore, detailers recommend maintenance 6 monthly or once a year even for a good product. The Scratch resistant are only helpful to resist against washing. 12) What about Multi Stacking? Multi stacking with layer after layer only increases thickness and not going to make your car much more scratch proof. From hard scratch, the top layer will be damage and visible. At least the damage will be at the top coating level and not the clearcote of paints. Since Glass coating are harder, it should not be stacked up to more than 3 layers. Ceramic are nano technology derived from non nano Glass substrate after changing the composites though processing using different forms of metallic particles and burning composition and transforming it into nano. Therefore, it will be softer and can be multi stacked up to 10 to 12 layers. Over stacking may cause cracking and peeling of in 1 to 3 years depending on variables. 13) Can I go petrol station car washing or detergent wash after coating? Yes off course, with a good coating technology from ToughGuard Nano Surface Coating product technology, you may easily DIY with just water, a wet micro-fibre cloth or go to a petrol station for your car wash.